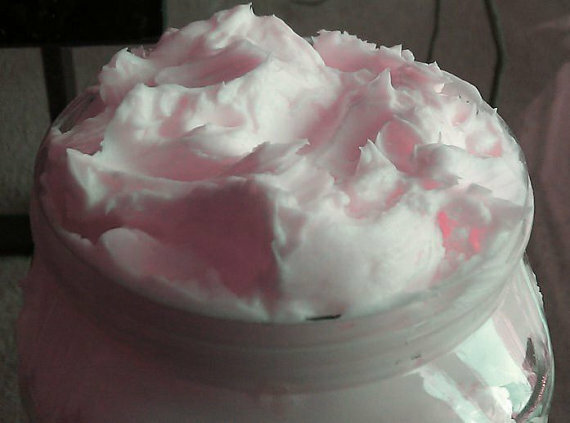 One of my favorite things in the world is homemade body products. Finding a great bath and body company and mixologist almost seems next to impossible, but on my search for the perfect body scrub I found one! I had the opportunity months ago (ok, yeah, I’m really late with hippin you all to Sweet Therapy, sorry!) to try out some Sweet Therapy products. Everything I tried I was great! The lotion was very moisturizing, the lavendar room spray was perfection, but by far my favorite product was the mango body scrub. The Moisturizing Mango Body Scrub… Hunny! Let me tell you! It smells so good I wanted to eat it (but didn’t of course, I’m not crazy…well, not that crazy)! Seriously. And after I scrubbed myself down with it my skin was left feeling satiny smooth. The wonderful thing about this product is that it leaves your skin looking and feeling hydrated all day long. 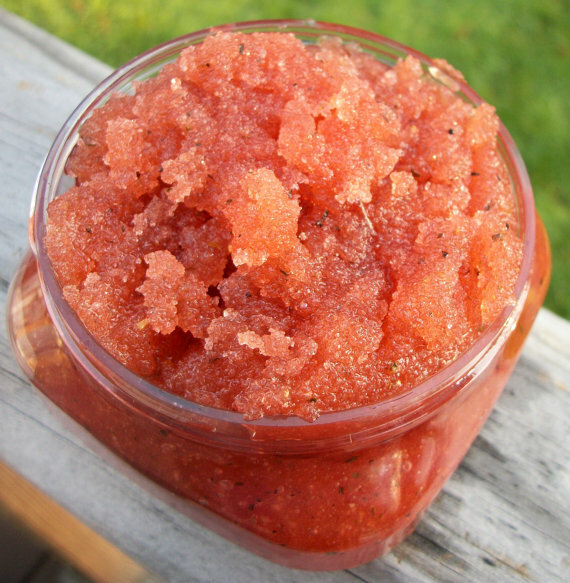 This scrub is everything, I promise you! My only complaint about Sweet Therapy is that I’m thirsty for more scents. Gimme more Sweet Therapy, gimme more! You can order Sweet Therapy products on etsy. You can also like their facebook page here. Hurry and go get you some! I promise you, you won’t be disappointed. Today I was browsing the internet searching for a new nail color when I stumbled upon Deborah Lippmanns Run the World (Girls) collection of fun, neon mini polishes. I Kissed a Girl, It Girl, Hollaback Girl, Nasty Girl and Party Girl. price…is not. You can get this limited edition set for $45 at Nordstrom.com. For a limited time Illamasqua is offering 50% off any powder/cream blush and bronzing duos in celebration of the launch of their new Skin Base shades. Shop now here. Lately I’ve discovered that I have nails and that when I put polish on them, they look alright as oppose to the ragged way they usually look. On top that, sephora kept bugging me with their emails all “buy something! Buy something N O W!” So I was like ok, fine! Whats good in the nails department? Thats when I stumbled upon Ciaté Caviar Manicure. Ciaté Caviar Manicure looks like little, shiny, festive beads on your nails. I’ve never seen anything like this before so obviously I had to buy it! When I received the kit it contained two bottles, one containing polish, the other containing the caviar, a funnel and a tray. had no problem getting the caviar to stick, however the amount of caviar I lost during the application was crazy. Thank God for the tray! I LOVE this product. Never again will I do it on all 10 nails. I will do it on a couple of accent nails though. The reason for this is the fall out. The product claims that the caviar will stay in place up to 48 hours and it did. After that I had to reapply it to my tips. By day 4 they had really started to fall out, so as you can imagine I just wanted the caviar off. I started walking around absentmindedly rubbing the caviar off. Beads all over the place lol. You can purchase Ciaté Caviar Manicure from Sephora for $25. Pretty steep, but my guess is no one will want to use this everyday anyway, so it works out. So what’s the verdict? Do you think you will invest in this caviar goodness? I will be the first to admit that I have no idea how to style natural hair. It’s the reason why I wear lacefronts so much. I’ve tried to do twist outs (fail), braidouts (major fail), or flat twist outs (hit or miss), and it just doesn’t work for me, so back to the wigs I go. I can do wash and goes because…you just wash…and go The problem with that is I often get fairy knots when my hair is out for too long. What to do? Going back to the creamy crack is not an option. I may not know what to do with my hair, but I can appreciate the healthy state it’s in AND I actually like my hair. So, needless to say I’m constantly on the hunt for that one hair product that is going to make styling easy peasy. Well guess what? I found it!!! I’m so friggin excited! 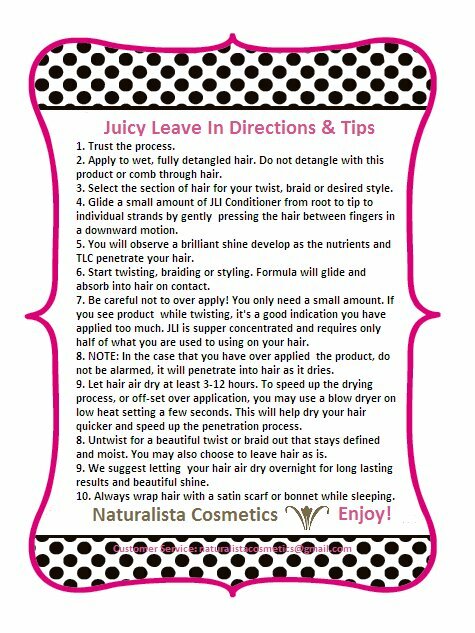 Naturalista Cosmetics has a product called Juicy Leave in Conditioner. I am always hella skeptical of products, so if I can buy a trial size, I do. That’s just what I did with Juicy. I bought a 2oz trial size. Now I sit here sighing wondering why I didn’t get the 16oz size instead. I wish I would’ve taken pics the first day I tried the product, but I didn’t. I say this because the first time I tried it, I let my hair dry for two days. That made a big difference. When I manipulate my hair when it’s still slightly damp it gets frizzy, which is what happened the second time I used Juicy. 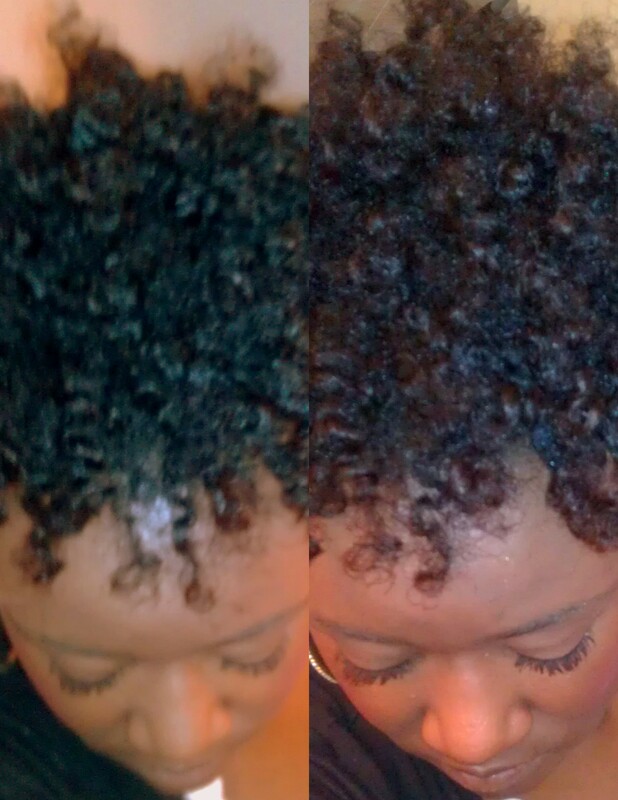 However, I still love my twist out so much that it doesn’t even matter! Lol. Plus my hair is shiny! I haven’t had shiny hair in forever! Did I mention how soft it leaves my hair? *swoon*. If I had one gripe about this product, it’s the smell. Some may find it pleasant. For me the smell is annoying. It’s like a body moisturizer that is heavily scented in a scent that aggravates my nose. It’s strongest when I first put it on, so by day two I can’t even remember what it was about Juicy that annoyed me. I’m so beyond satisfied with this product. I’m a believer. The search is over! Before I got married I too was inlove with the idea of love. I love love! I love giving and receiving love. Love is addictive! However, what I wasn’t was confused about what marriage is. You can not live on love alone and it frightens me that some of the people I know have the mentality that you can.I want to marry someone that I’m in love with and I believe that no matter what comes our way, love will bring us through”.Really? That sounds like some fairytale, hippy stuff that my experience says I can’t subscribe to. I mean, is that why they say finances are the #1 cause of divorce? Because I guarantee you most folks aren’t getting divorced because their spouse makes too much money. For the most part, I’m pretty confident that one thing women look for in a marriage is security. Not having money is stressful. Not knowing where your next meal is coming from is STRESSFUL. Love can’t pay your bills on time for you. Love can’t stop you from having to declare bankruptcy. Being married has opened my eyes. Yes I married my husband because I loved him, but that’s not the only reason. I also married my husband because he was God fearing, had a personality I could enjoy “forever”, finanacially savvy, and he was a hard worker. Now say I decided to marry someone from years ago, who didn’t have those qualities. I would be miserable, but not for long because I would be in divorce court getting rid of him. January 12, 2011 my husband and I had our babygirl. June 2011 I was laid off. Laid off…with a baby…with hospital bills to pay from my 8 day stay there on top of many other bills. If my husband wasn’t who he is, more than likely I would be in someones shelter. Could our love survive that? I doubt it. I believe we would fight hard for it to, but in the end being homeless and penniless would leave us bitter and at odds with one another. Marriage is hard work. Hard.Work. Whatever you’re facing in your relationship is nothing like what you face in marriage. Above everything else, marriage is a ministry. The devil fights marriage like it’s his only job. 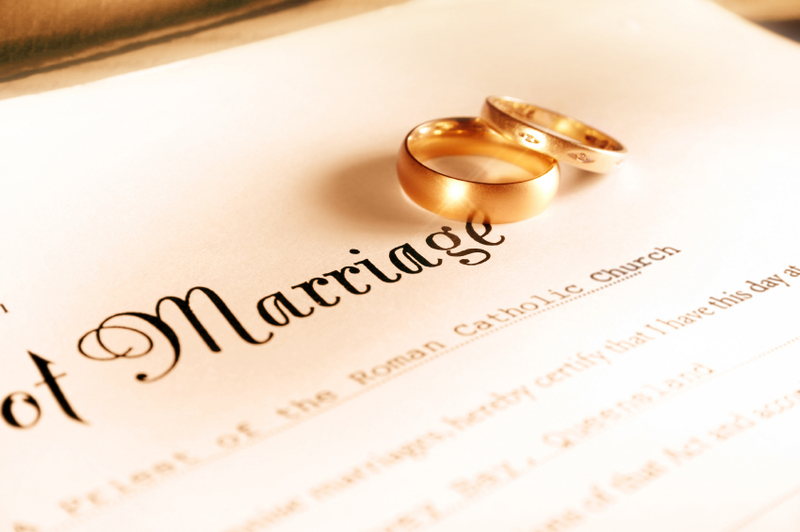 He knows how much God loves marriage so he desires to tear marriage apart. You come up against a lot in marriage, you just do. Don’t get me wrong, marriage is also very fun and gives you a sense of security that you may not experience otherwise. It’s a love and commitment deeper than anything else I’ve ever experienced. I love marriage. I love what it stands for, I love the way God blesses through it. It’s a beautiful thing. But God created marriage so that you could have a helpmate. I don’t remember reading, and please point this out to me if I’m wrong, that marriage was simply so that you could love love love! Love is the bonus, love is a gift. I’m blessed to have married a man who I love and who loves me. No, I wouldn’t marry for money only and I highly doubt Toni Braxton would either. But if you don’t believe finances are just as important than love, you are highly mistaken. I’m not an advocate for divorce at all. I’m constantly the one telling folks to stay, work it out. But I do understand that sometimes you can just be stretched too thin and not have anything else to give. I’m not saying go out there and marry the first guy (or woman) you meet that has fat pockets. What I am saying is marry wisely. Money comes and goes and yes, love does help carry us through tough times, but there are certain stressors that you could avoid by not letting your heart make all the choices. Marry someone who is committed to working as hard as they love. I know a lot of my friends and acquaintances were excited about the Hunger Games being made into a movie, but I doubt any of them were as excited as I was…and nervous. The Hunger Games was the best series of books I had read since Harry Potter. It was superbly written and pulled me in within the first few pages of book one. A week later, I was done with all 3 books and excited to reread them all asap! As the time drew near for the movie to make it’s debut, I, being the fanatic that I am, bought a Hunger Games t-shirt. I was READY for the movie, ok? Some of my friends even shook their head and made haughty comments. What? A t-shirt? Yes bish, a t-shirt, and if you don’t like it here _/ have a seat. Because this was the come back in books I had been waiting on for years. I like Twilight enough, love the books, but the movies never lived up to my expectation. I learned to accept them for what they were. However, looking at the cast for The Hunger Games, I KNEW this film had to be on point, right??? Well….ok, here’s the thing. I was not able to look at this film objectively. I’m still way too in love with the book. So this review is more of a…warning…for those of you that are fans of the books as much as I was. In your eyes this film will get a big fat D, C- at the least. Why? The same reason as always. They changed things, gave Cinna more speaking parts than needed. My friend said it was because they wanted to show the bond between them. I’m positive they could’ve done that without having him say stupid stuff. Then there’s the extra scenes with snow that were unnecessary, and just…yeah. I think the other movie goers who had not read the books were completely over me screaming “THAT WASN’T IN THE BOOK!”. Yeah, those poor people. This review isn’t all bad though. As I stated, I think the actors they picked were great for the part. There were parts that were completely on point. I swore that if Katniss didn’t bury little Rue in Flowers I was leaving the theatre. Well, obviously I stayed until the end. Some moments made me laugh, others made me gasp. I’m willing to bet that if I see this film a second time, which I will, I’ll give it an A. Ok, let’s not go that far. I’ll probably give it a B+. So, go see The Hunger Games. If you haven’t read the book, you’ll love it! If you’re a crazed fanatic, you’ll love it simply because it’s finally in film form, But if you’re like me and just really appreciate the characters and the words that were on the those pages, you might be a little disappointed, although honestly, who isn’t when one of their favorite books is turned into a film?